You never know what arcana you'll come across. 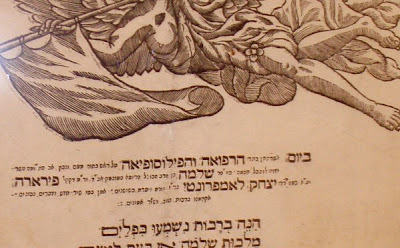 Having recently posted about the 1724-28 edition of the Mikra'os Gedolos, the 7th edition, published in Amsterdam by Mosis Francorutensis (or, R. Moshe ben Shimon Frankfurter) I found the following interesting information regarding its printing of the commentary of Sforno, this being the first Mikra Gedolah to print Sforno's commentaries. Is this not fascinating? Of course it is. First of all, "Rabbi Abdias Sporno" is, of course, R. Ovadiah Sforno. 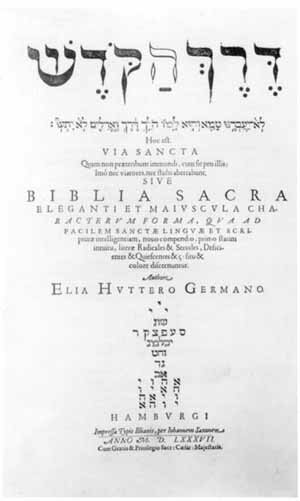 His treatise de Scopo Legis refers to his כוונת התורה, and it is quite interesting to learn that this short introduction was generally omitted from copies sold to Christians. Sadly, the trail runs cold and I can't find this reference (undoubtedly to a work of Gerhardus Tyschen [aka Oluf Gerhard Tyschen]) to know whether he noticed or publicized this omission in some editions before Butler or not. 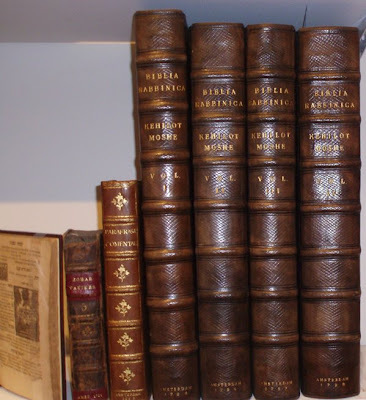 *Full title: Horæ Biblicæ, Being a Connected Series of Miscellaneous Notes on the Original Text, Early Versions, and Printed Editions of the Old and New Testament. 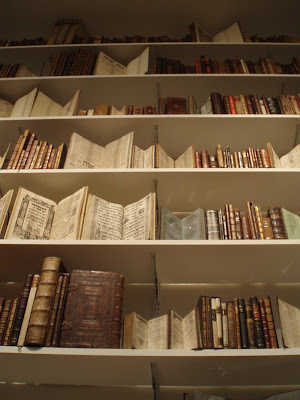 **Notes on the Four Gospels and the Acts of the Apostles Illustrations of the Doctrine Principle and Practice of the Church of England by Frederic Martin. Clockwise from upper left: David Cassel, Moritz Lazarus, Heinrich Graetz, Hermann Steinthal and Senior Zachs. From Nahum Sokolow's yearbook Ha-asif (1887). "Julia E. Smith, when over seventy years of age, translated the whole Bible into English in one year and seven months, having no other helps than a Hebrew and Greek grammar and dictionary." So writes Edward James Young in The Value of the Study of Hebrew for a Minister, The Unitarian Review and Religious Magazine, May 1879. The truth is less dramatic, but only a little less. In truth, it took Julia E. Smith (1792-1883? ), of Glastonbury, Connecticut seven years, by her own account. 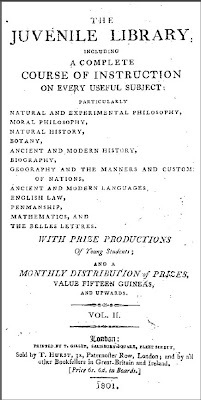 "It is very possible that the readers of this book may think it strange that I have made such use of the tenses, going according to the Hebrew grammar. It seems that the original Hebrew had no regard to time, and that the Bible speaks for all ages. If I did not follow the tenses as they are, I myself should be the judge, and man must not be trusted with regard to the Word of God. I think the promiscuous use of the tenses shows that there must be something hidden, that we must search out, and not hold to the outward, for the " letter kills, but the Spirit gives life." Read the fruit of her labors here. What does Moshe Finkel- the chicken man- look like? It was a lot of fun to eavesdrop there, and to see the show-offs who tried to demonstrate that they could read it. You know who you are, people. You read it as well as a 5 year old reads Ashrei. A lot of people don't realize that one of the key medieval Hebrew grammarians and masoretic scholars lived in England: משה הנקדן (albeit, he was born after the above codex was written). 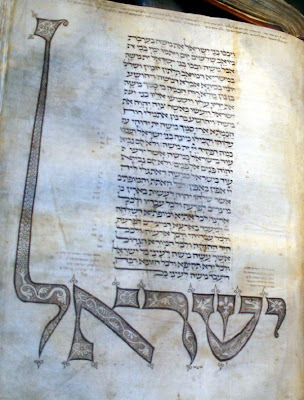 The following Franco-German (ie, Ashkenazic) codex was quite fascinating from a historical perspective, being that it is dated to the 10th or 11th century, making it quite possibly (even likely) older than Rashi himself. Not bad to see a Chumash from Rashi's region that predates him! I'm not one of those people who get excited about Incunabula (at least not more so than printed books from after that arbitrary demarcation line, 1500). But it was fun to see so many of them all at once. It was over 500 years old, and for all intents it looked like a fascimile printed on fine paper last week. Unfortunately I did not get a clear picture of the Hutter Bible, but it was exciting for me to see it. 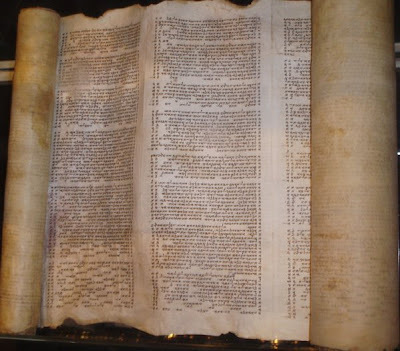 Elias Hutter came up with a brilliant idea, and printed a Hebrew Bible with his innovation, which consisted of using two fonts. One was normal, and the other had a hollowed-out appearance. 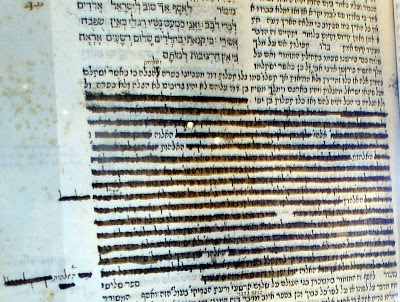 He printedeach word using these two fonts; the radical letters (שורש) in the normal font and the servile letters in the hollow font. In this way, the root of each Hebrew word could clearly be identified. 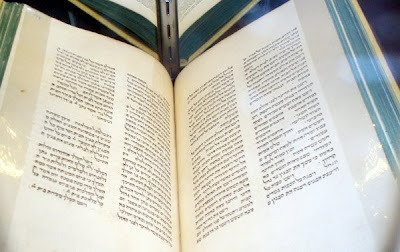 As you can see, the ה in the words דרך הקדש is hollow, for it is not part of the root. 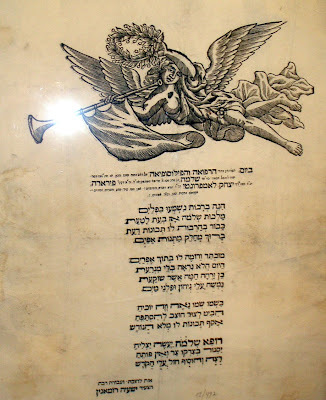 Unfortunately my camera ran out of power and I was unable to get a photo of an interesting book from the 16th century; a book of haftarot, with Yiddish translation (albeit at that time the speakers of that language did not call it Yiddish; they called it טויטש, evidently because that is what they believed themselves to be speaking; Deutsche, ie, German. What was interesting to me was the word haftaros, which was incorrectly spelled (in square script) הפטורה. This was wonderful, because the explanation is most likely that the pronunciation of the קמץ among Ashkenazim at the time was very, very close to חולם וי"ו, hence the confusion. 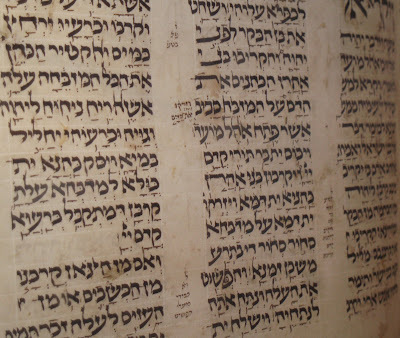 Indeed, to this day many pronounce haftarah as if it were haftorah, and even haftoyrah, albeit probably because of the phonetic similarity to the word Torah. You've got your congratulations-you-are-now-a-physician poem in honor of the son of R. Yitzchok Lampronti. I gently correct a 143 year old spelling mistake, or, how should "Peshitta" be spelled in Hebrew letters? I've posted some things about the Peshitta (aka ܦܫܝܛܬܐ, Peshitto, Peschito, ' וגו) a few times. 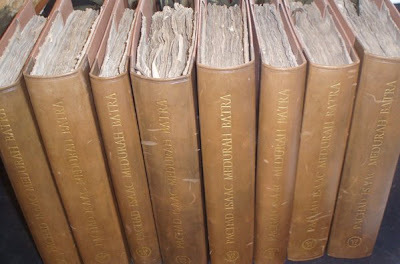 If the name doesn't ring a bell, the Peshitta is what the Syriac Bible is commonly called, Syriac being a dialect of Aramaic used by Eastern Christians. Since the word is generally written out in Latin letters as "Peshitta" (if we are talking about this century and from a bit of an Anglo perspective) most people probably don't realize that the /tt/ represent two different Syriac letters. In Hebrew script, they are טת; that is, פשיטתא. Since in Syriac grammar, as I understand it, the ת here is pronounced רפה, that is, soft, the word is really pronounced Peshittha (with the /th/ being like the word /with/). If you like havoro Ashkenazis (for all you Ashkenazi Syriacs) then you'd say "Peshitsa," the same way an Aramaic baalebuste is an "itsa," איתתא. 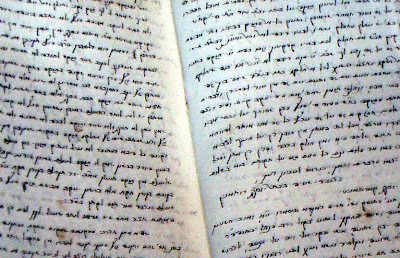 However, under the classical scholarly and modern Israeli convention of following allegedly Sephardic pronunciation, most people just wrote "Peshitta," and consequently a lot of people pronounce it that way instead of "Peshittha" or "Peshitsa" (which is not Syriac, so I don't know that it's more correct). Okay, granted he is technically correct that the תרגום סורי is מכונה פשיטא. Like I said, that's what loads of people call it! 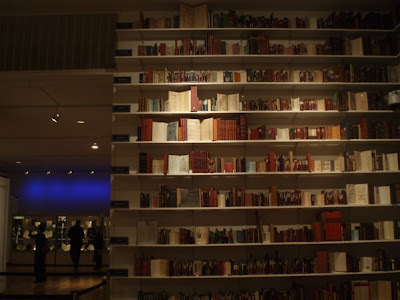 Viva Valmadonna; what to do today if you can be in Manhattan and love books. Words can't describe how extraordinary, unprecedented and flat-out wonderful this exhibit is, and what a privilege it is to see it. All who love seforim, all who love art, all who love beauty, all who want confirmation of the nagging suspicion that today all we produce is ugly, ephemeral crapola should go. Go today! Go tomorrow, just go! Before it's too late and it's all packed away and sold to whoever has $40 million and is responsible. 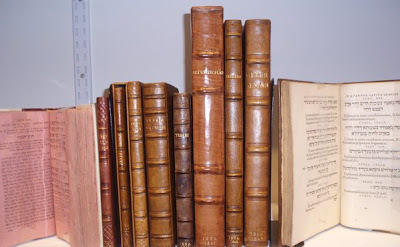 Just as the Talmud (Sukkah 51a) records that one who hadn't seen the Simchat Beit Ha-Shoeva in Jerusalem hadn't seen true happiness, one day historians will add that one who hadn't seen the Valmadonna Trust Library during the one week that is was available to be viewed in New York, hadn't seen the true literary grandeur of the Jewish people. And he happens to be right. Good New York Times article and slideshow here. A future post will be illustrated with photos I took, descriptions and reflections. 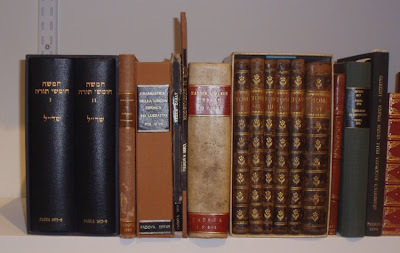 Derashot Shedarashti: Sermons of Rabbi Norman Lamm. Here is a collection of the sermons given by Rabbi Lamm from 1951-2004. Included are his handwritten and typed notes. It is a veritable trove for the armchair historian interested in many aspects of American Modern (I mean "Centrist") Orthodoxy in the latter half of the 20th century, and undoubtedly a treasure trove for the critics of such. It contains everything from a tribute to Albert Einstein on the occasion of his 75th birthday, to critiques of Conservative Judaism to reflections on the Nixon tapes, to more conventional inspirational and learned derashos, and being of that time period, much usage of the term "Please G-d."
Here, for example, is an excerpt of a sermon delivered in 1955 in honor of the 750th yahrzeit of the Rambam. From Gotthard Deutsch's chapter on Layser Lazarus in his Scrolls: Essays on Jewish History and Literature, and Kindred Subjects. Layser Lazarus was the rector of the Seminary following the death of Zechariah Frankel; he had been a student of R. Akiva Eger. Gotthard Deutsch was eventually a prominent Reform rabbi and teacher in America. Apparently R. Akiva Eger on shaving with a razor was a favorite example of his. Read the very interesting responsum here. 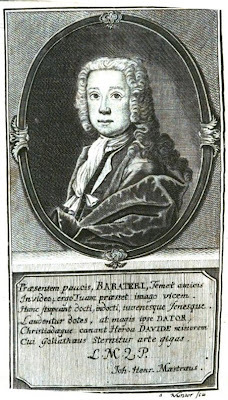 I came across the story of Jean-Philipe Baratier (1721-1740) by accident. 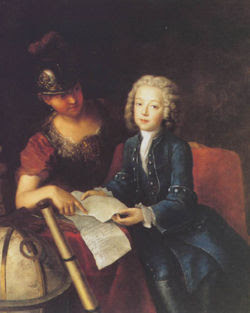 Born in Germany to French Huguenot parents, it was apparent from an early age that the boy was extremely gifted in languages, but more than that, he also had understanding. 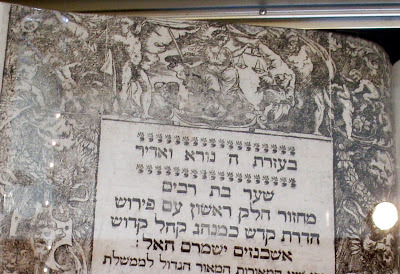 At ten he had become very interested in rabbinic literature, so his father bought him the 1724-8 Amsterdam edition of the קהילות משה Mikra Gedola (the 7th; which happens also to be the first Mikraos Gedolos edition fully published by Jews), which he soon knew very well. In case there is any doubt, he wrote an article about it which was published in the prestigious journal Bibliothèque germanique (this was a French-language journal based in Germany and intended to introduce German scholarship to the rest of Europe in the first half of the 18th century; unfortunately the volume with this article is not yet online [not that my French is good enough anyway], but here is an announcement from the 1732 volume on something by Baratier [see next paragraph]). When he was only 12 years old he published a complete annotated translation of The Travels of Benjamin of Tudela from Hebrew into French link (or link). His many other academic achievements in his short life are noteworthy, but not of particular interest to this blog: he was also skilled in math and science, having graduated university with a Masters of Arts at 14, and granted lifetime membership as a fellow in the Berlin Royal Society. 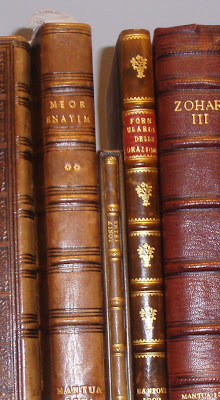 He published several books in his other areas of interest. He was a smart young guy, who sadly did not recover from illness at age 19. No matter what one thinks about his attainments, there is something romantic about the image of a 10 year old Huguenot boy poring over a set of Mikraos Gedolos. In his time, he was a philological Doogie Howser. Postscript: I saw something interesting in another 18th century book (on certain British women). In a discussion about a Miss (Maria) Howel (who we are told was 11 in 1741), we find her compared to Baratier, and she fares better. Firstly, I don't know if anyone would have said this about him, but this is said of her: she had "all the charms of body that the hand of nature could put into one human frame" as well as a "soul so bright and luminous, knowing and comprehensive, so good and gentle, divine and spiritual, that she seems, in the perfections of her understanding especially, to be a specimen of the vast capacitys the human mind is capable of acquiring," who, "as a Christian" had "received all that can be given by regeneration and the grace of the holy Spirit." Not only, does this author write, did she attain similar literary accomplishments as Baratier, but she had better judgment! Christian child prodigies with Hebrew knowledge, part I. 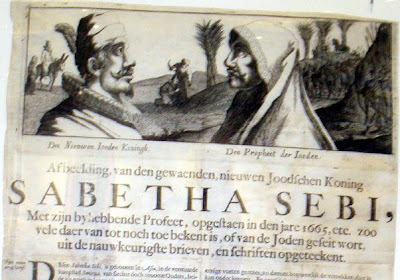 This is the first in a series of posts on Christian child prodigies who knew Hebrew. Although this first one has a rather legendary quality to it, the next post will be highly interesting and no legend. As you can see, this account is from 1679, and concerns a three-year old child of Manchester named Charles Bennet, who "doth speak Latine, Greek and Hebrew, though never taught those Languages; and answers all Questions relating to the Bible, &c., in a wonderful manner."